As a consequence of the recommendations of the new Code of Good Governance of the CNMV, approved in 2015, DIA has been working since then on the adaptation and subsequent publication of its corporate policies. 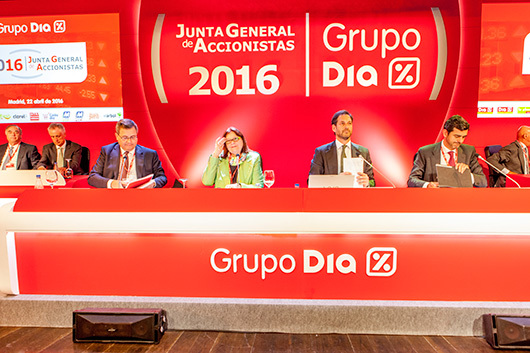 The first step, implemented in December 2015, was the approval by the Board of Directors of a renewed Corporate Social Responsibility policy, transversal to all the actions of the company, which includes the principles assumed voluntarily by DIA in regard to its various stakeholders. The CSR Policy constitutes a reference framework prior to the development of the rest of the policies that the company maintains with regard to its stakeholder relations. On 11 December 2015, DIA's Board of Directors of DIA approved its Shareholder Communication Policy, Fiscal Policy, Risk Management Policy, Media Relations Policy in the Information Area and, lastly, the Environmental Policy. In 2016, the Franchise Relation policy, the Corporate Food Quality and Safety policy and the Policy for the Prevention of Crime and Anti-corruption were approved and published, all of which are available on the company’s corporate website. As of the date of publication of this report, the two remaining policies have been approved and published: The Human Resources Policy and the Customer Relationship Policy. To measure the implementation of each of the policies and fulfil the CNMV's Recommendations of the Code of Good Governance, the DIA Group has developed a series of indicators that are reported to the Audit Committee of the Board of Directors, which has been attributed the company’s Social Responsibility functions.